AvWeb titled their coverage “Silly Pilot Tricks, Part… (We’ve Lost Count)”. And rightly so. On Saturday May 1st, 2004, a certified pilot flew her Skyfox Gazelle, with passenger, under Sydney Harbour Bridge. Needless to say, the tempting duck under the deck was, and remains, strictly forbidden. Louise Campbell’s Skyfox Gazelle emerges from under the bridge on May 1st, 2004. 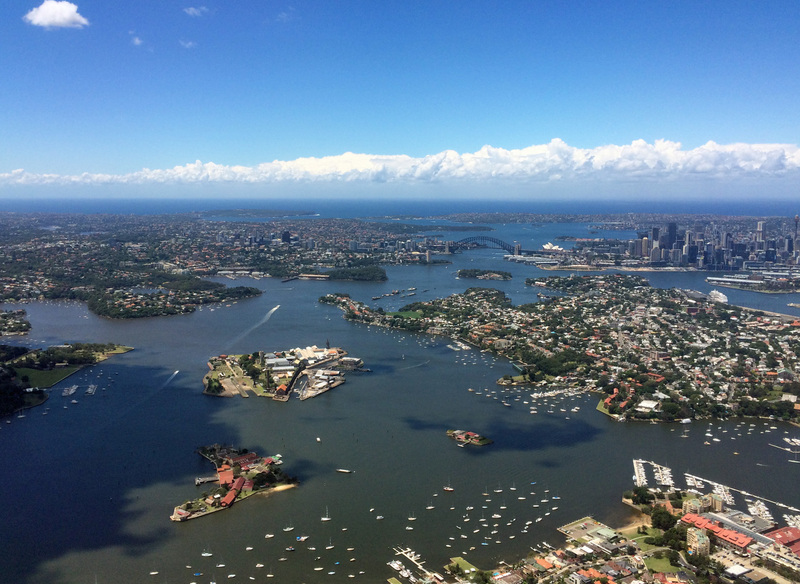 In the ten years since, no-one has been quite able to explain how a CPL- and Instructor-rated pilot could mess up the very clear ERSA (En Route Supplement Australia) and ATC instructions for Sydney Harbour scenic flights. After all, these take place in Class C airspace under individual clearance from YSSY Approach, and the specified procedure is to remain east of the Harbour Bridge and north of the Opera House at 1,500 ft on Sydney QNH. Not ‘above’ or ‘below’ –‘at’. The Bridge itself tops out at 462.6 ft AMSL (141m) including its two aircraft beacons. The deck, hanging below the steel arch, rises to a maximum of about 170 ft (52m) from sea to steel. In the ensuing investigation the Skyfox pilot, Louise Campbell of Brisbane, repeatedly claimed she didn’t know flights under the bridge weren’t allowed. Somehow it worked. Despite the risk to herself and others (including a busy helicopter transit lane at 1,000 ft AMSL) and the glaring procedural breaches, in the end Ms Campbell got through unscathed. What’s more, she wasn’t the first to fly under the Bridge – nor the first to get away with it. Sydney’s Harbour Bridge was officially opened on March 19th, 1932, but aviators had already flown under it more than a year before. 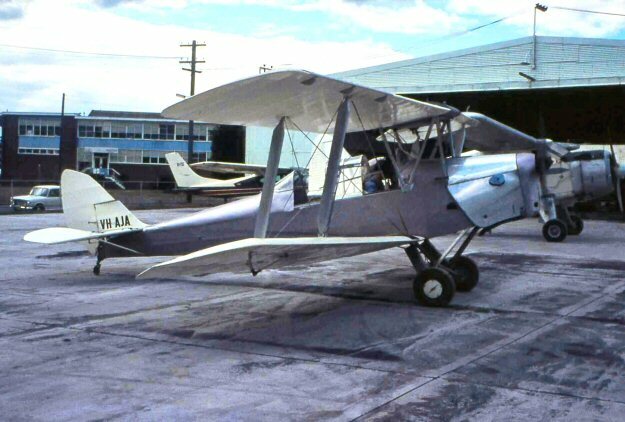 On Saturday February 28th, 1931, just days after the roadway deck had been completed, two aircraft flown by Australian Aero Club pilots had swooped below the span. The pair, Captain P.G. Taylor flying a Gypsy Moth and Mr R. Anabel flying ‘a seaplane’ had been with a group of five Club aircraft farewelling another pilot, Mr R.J. Hickey, as he sailed out of Sydney aboard the liner Moreton Bay. After the ship passed through the Heads, the other pilots turned south for Mascot aerodrome. But Taylor and Anabel flew back to the bridge and circled, waiting for a break in the steamer and ferry traffic below. They picked their moment and dove down, passing below the bridge and within 10 feet of the water, apparently, to the great consternation of passing ferry passengers. 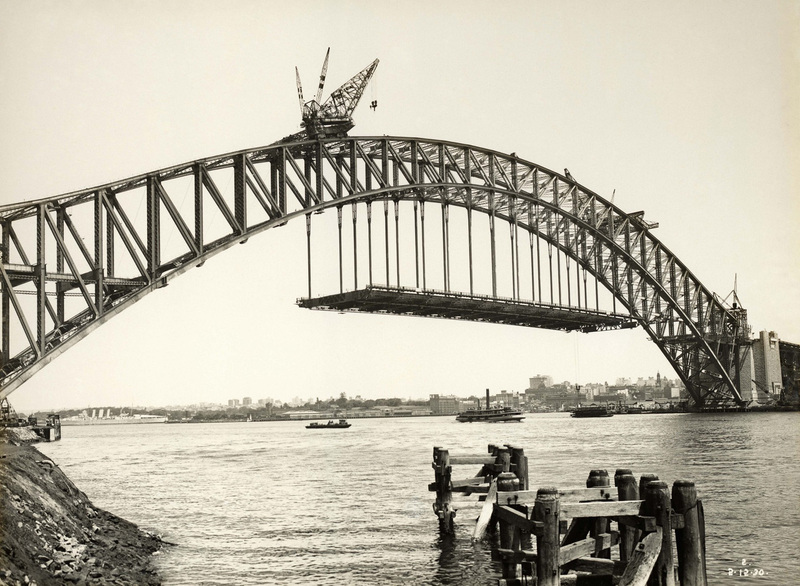 In a sign of the newness of both aviation and Sydney’s bridge, local newspapers excitedly described their flight as ‘a daring feat’ and nothing further was said. One of the four SOC-3 Seagulls embarked on USS Augusta, identical to (if not actually) the airplane that flew under Sydney Harbour Bridge on October 23rd, 1934. This photo was taken during the Operation Torch landings, North Africa, 1943. Then, on October 20th, 1934, the heavy cruiser USS Augusta (CA-31) arrived in town under the command of Captain Chester W Nimitz, and remained a week while CinCAF Admiral Frank B Upham visited Australia’s capital Canberra. Whatever steps were tried, they didn’t work. Exactly a year later, wealthy Sydney physician Dr T.J. Henry bought a second-hand Genairco Biplane VH-UOG (c/n 16). 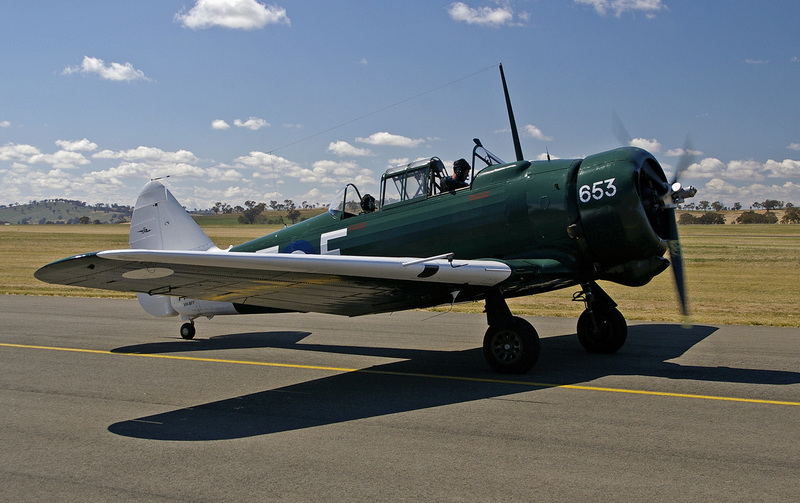 The Genairco was built by the local General Aircraft Company Ltd at Mascot Aerodrome, using Australian native timbers. 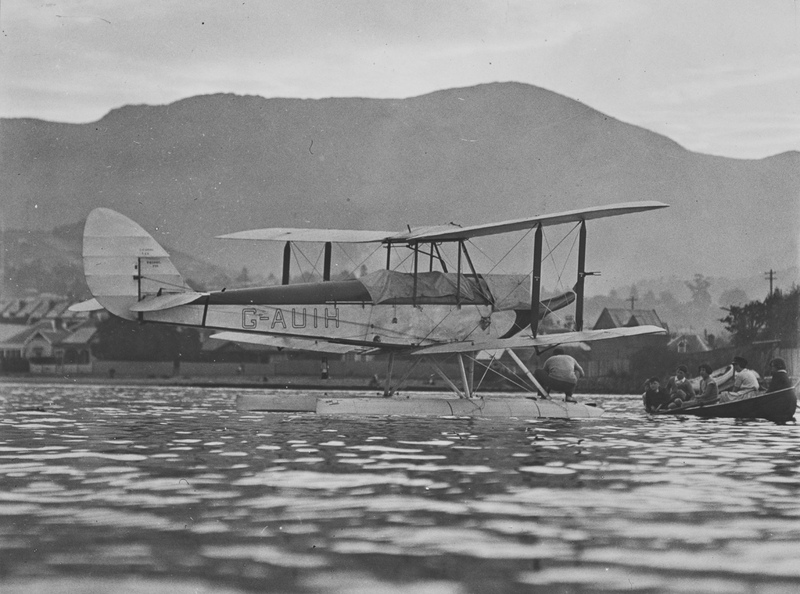 Its fuselage was based on a DeHavilland Moth, widened for side-by-side seating in the front cockpit, and power came from a locally designed Harkness Hornet motor. However this had been replaced with a DH Gypsy II by the time Henry took ownership. Doctor Henry’s son Goya, who flew the aircraft, was already well known to authorities. Back in November 1934 he’d been convicted of flying in contravention of the Air Navigation Regulations and fined. Then, on July 8th, 1936 his pilot’s licence was suspended as a result of various further breaches. Undeterred, and probably somewhat indignant, Goya Henry took off in the Genairco – which he called ‘Jolly Roger’ – several days later and flew it under the Harbour Bridge. The authorities were apoplectic, and they threw the full weight of Australia’s Air Navigation Act 1920 at him. Goya countered by claiming that the Australian Constitution did not allow the Australian Government to make Federal regulations for air navigation. HIs case went all the way to the High Court and is still cited today. The Court upheld his appeal and threw out the charges against him – along with the entire federal Air Navigation Act! VH-UOG is now in the collection of The Powerhouse Museum, Sydney. World War Two then saw quite a run of flights under ‘The Coathanger’ as countless well-trained aircrew with high-powered aircraft and uncertain futures passed through Sydney. With the Japanese were breathing down Australia’s coat collar, the US Army Air Forces scrambled to provide support while managing their own heavy war commitments. The 49th Pursuit Group was the first complete American unit to be deployed to Australia, arriving in Melbourne on February 1st, 1942 – an incredibly rapid response, all things considered. On February 15th the HQ Squadron and 7th Pursuit Squadron moved to Bankstown Airfield, near Sydney, where they lived under canvas or in shared barracks with local RAAF personnel. 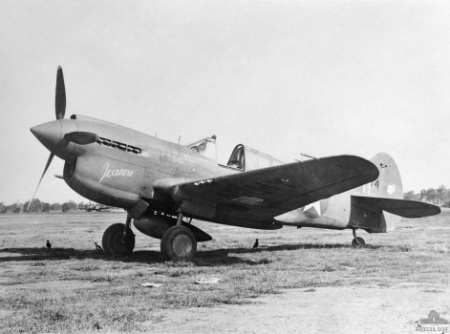 Later that same month, the Squadron started receiving P-40E Warhawks which had been assembled by an 80-man detachment of the 49th PG at RAAF Amberley, near Brisbane. 7th Squadron’s 2nd Lieut. Frank Stiertz was one of those brash fighter pilots who generally either make a name for themselves or a hole in the ground. As the P-40s started arriving he proceeded through familiarisation and was cleared for cross-country flights. At the very end of February Stiertz’s exuberant flying, the P-40’s 1150hp Allison V-1710-39 and Sydney Harbour Bridge came together when he buzzed under the steel span. This time, the was no praise for a ‘daring feat’: Stiertz was grounded for two weeks. He could have only just returned to flying when, on March 14th, the wingtip of his P-40 clipped a grader at Bankstown while he was practising touch and go landings. The aircraft stalled, crashed and caught fire. Trapped in the cockpit, Stiertz was asphyxiated by coolant fumes before rescuers could free him. Within months of Stiertz’s pass, two more USAAF P-40s flew under the bridge together – whether in formation or trail isn’t recorded. The 7th PS was still in town, so presumably this flight originated at Bankstown as well. Nicholas Dijkstra, a navigator with KLM offshoot KNILM, was at Elizabeth Bay, just East of the Bridge on the beautiful Sunday morning in May 1942, when the two Warhawks tore down the harbour. They stopped traffic, and the flight was the talk of the town. 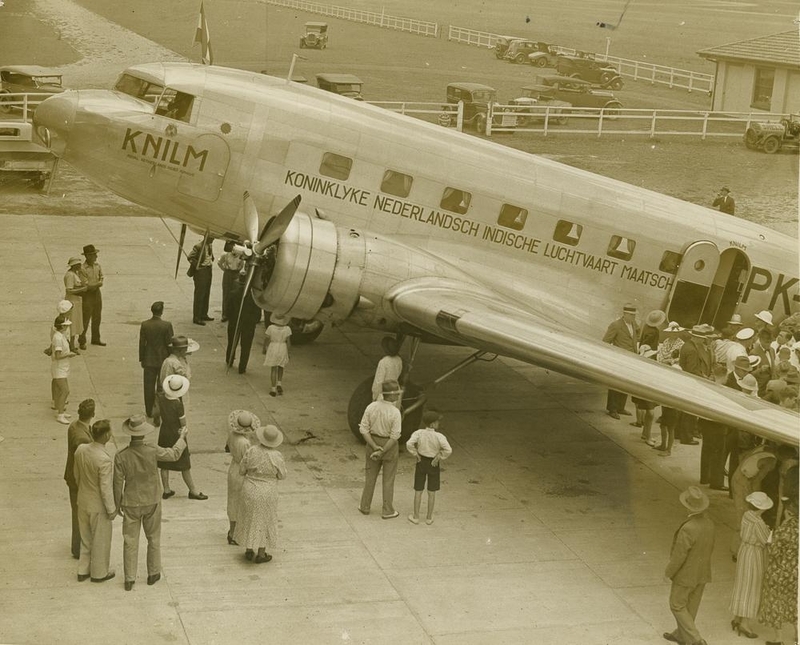 KNILM had operated throughout the Netherland East Indies (now Indonesia) for decades and when the Japanese overran the NEI, the airline moved its operations South to Australia. Eventually ending up in Sydney, the aircrew were told in May 1942 that they were to hand their DC-3s, DC-5s and Lockheed 18s over to the USAAF – the result of some cynical manipulations by Gen. Douglas MacArthur. A week after the P-40 pass, five of the KLM/KNILM aircraft were being given final checks before being flown to Wagga Wagga, NSW and handed to the USAAF. 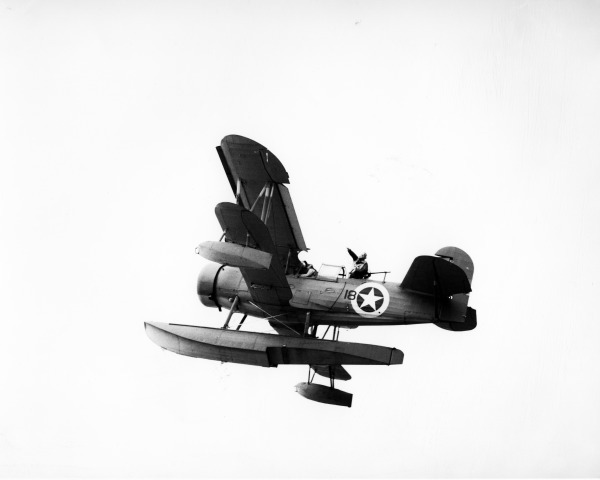 A final test flight out of Mascot was agreed, and radio operator Joe Muller asked the Control Tower staff for clearance to fly under the Bridge as a farewell. When he came out of the tower, he gave the waiting crews a thumbs up. So the five aircraft took off, formed up over Sydney heads, and flew under the Bridge in formation, from east to west. They then made a wide turn and flew back under the bridge from west to east in line astern, and returned to Mascot. Again, there was a storm of outrage from the authorities and the aircraft were met by ‘anybody with any authority’. But the KLM crews had just made their final flight, nobody ‘owned’ them, and it was the darkest days of the war. Muller claimed his thumbs up was only to say that the five aircraft looked ready to fly. Once again, nothing happened – although apparently an order was issued prohibiting further flights under the bridge, with a fine of £100 for every person on board any aircraft that did. But Sydney-siders didn’t have to wait long for another sub-span flying exhibition. In 1943, a flight of 24 Squadron RAAF Wirraways (developed locally by Commonwealth Aircraft Corporation from the NA-16-2 or BT-9/Harvard I) were also inspired to fly under the bridge, rather than over it. The trainers had been tasked with dropping leaflets over the central streets of Sydney, and so the flight may have been part of an RAAF recruiting campaign that involved leaflet drops across Sydney on the morning of Saturday June 5th. The Wirraways approached from the west, flying down the Paramatta River, led by Flying Officer Geoffrey Stevenson in A20-525. 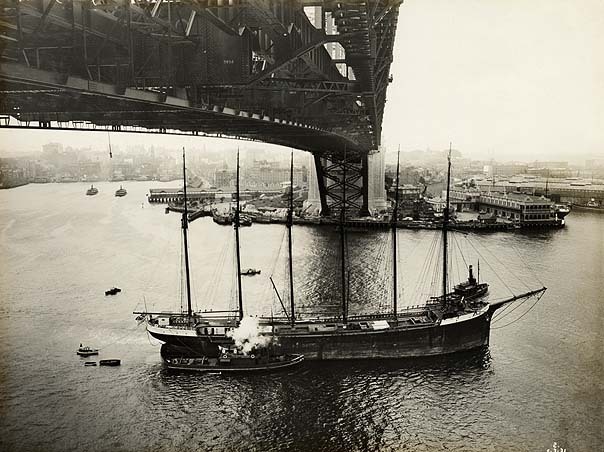 As they approached the city, Stevenson edged lower and headed for the Harbour Bridge. The rest of the flight dutifully followed. When it became clear exactly where Stevenson was heading one pilot had second thoughts, firewalled his heavy trainer, and just scraped it over the massive steel arch. When the flight returned to Bankstown, their Commanding Officer was waiting. However a good chewing out was no doubt balanced against the recruitment value of the stunt, and all the pilots continued their flying careers. Rumours of other World War Two runs under the Harbour Bridge abound, including plausible claims of flights by a No.22 Squadron RAAF Boston in June 1942, three Vultee Vengeance dive bombers from No. 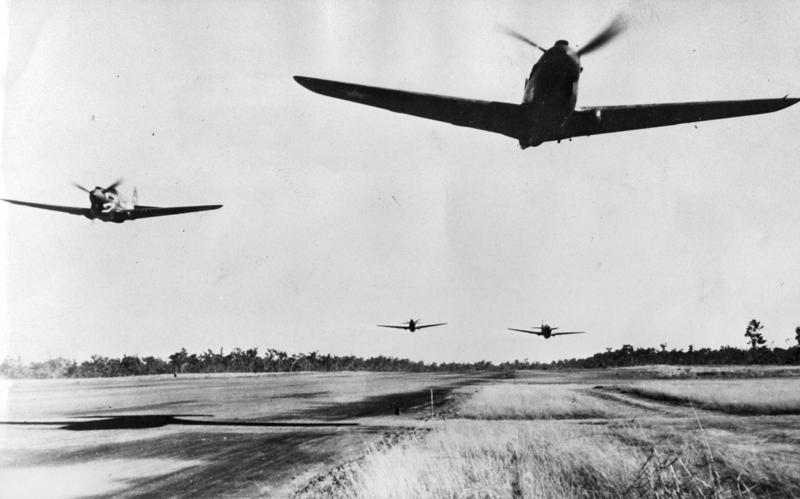 21 Squadron RAAF on May 14th, 1944; and trio of No.94 Squadron RAAF Mosquitoes during V-J Day celebrations on August 16th, 1945. Queenie VI, photographed during her Liberty Loan tour of Australia. The best documented and arguably most famous, though, was the flight of Avro Lancaster Mk.I ’Queenie VI’. 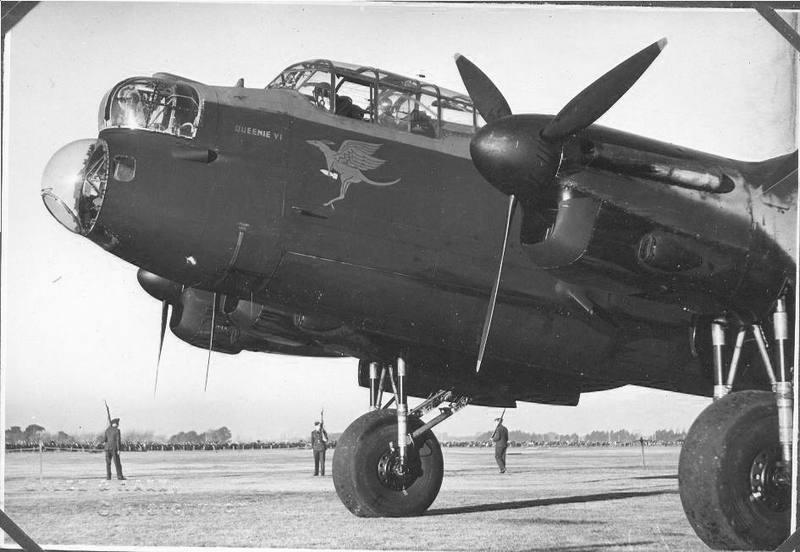 The big four-engined bomber, RAF serial ED930 and RAAF serial A66-1, had been flown from the UK to Australia to support the Fourth Liberty Loan. She left Prestwick, Scotland on May 22nd, 1943 and, after 74 hours’ flying time via Montreal – Toronto – San Francisco – Honolulu – Palmyra, Is. – Canton Is. – Fiji, she arrived at Amberley, Queensland on June 3rd. She spent most of June touring New Zealand to raise funds for the Liberty Loan there, before returning to Australia. Queen’s passage. 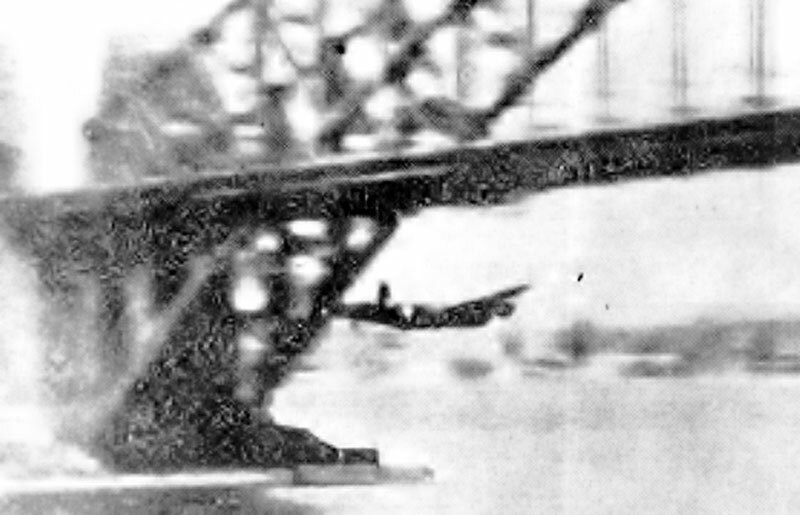 A blurred but incomparable snap of Lancaster Mk I Q for ‘Queenie VI’ passing under Sydney Harbour Bridge, October 22nd, 1943. On October 22nd, 1943, while transiting from RAAF Richmond in Sydney’s west to Mascot on the coast, Flight Lieutenant Peter Isaacson guided the speeding Lancaster under the Harbour Bridge. By all accounts he didn’t even tell his crew what he intended to do, which indicates that it may have been a spontaneous decision. Apparently they were under the bridge and climbing out towards the city before the crew realised what he’d done. At the time, and with her wingspan of 102 feet (31.09m), ‘Queenie VI’ was by far the largest aircraft to be flown under the iron. Unfortunately that wouldn’t be her last record. Days later, on October 26th, the aircraft ran off the runway at Evans Head in Northern NSW after wind shear left her landing with a tail wind. She ended up in a ditch, badly damaged, and on track to become the RAAF’s largest ever field repair. Ten crates of parts had to be shipped out from Canada, and the work took six months to complete. 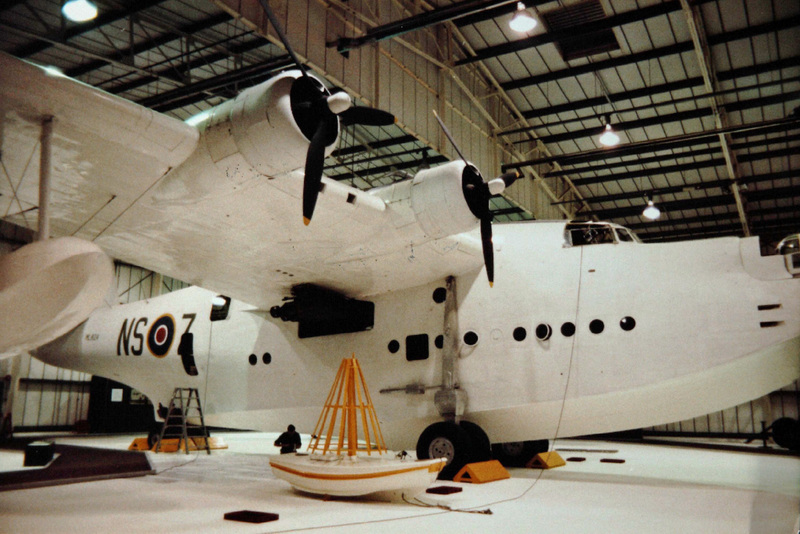 But ‘Queenie’ flew for a further 500 or so hours before being stored in January 1946 and ultimately scrapped in 1948. An even larger aircraft broke ‘Queenie VI’s Bridge record on Monday January 14th, 1946, when RAF Flying Officer H. George took his Short Sunderland flying boat under the span before landing at Rose Bay further down the harbour. With the war now very definitely over, a posse of officials was waiting for him at the flying boat station and he was invited to explain himself. His excuse was the apparently gold-plated “I didn’t know flying under the bridge was prohibited”. George then went on to assure the investigating DCA Officer Mr W.D. Stow that that he’d done it “on the spur of the moment”, having first made sure there was no shipping under the bridge at the time. Stow’s words – or perhaps plain common sense – did finally seem to gain some traction though, and it would be 1975 before another flight under the bridge was recorded. On Monday, May 12th of that year, John Cameron of Sylvania (a Sydney suburb) flew his elderly DH.82a Tiger Moth under the Harbour Bridge, buzzed nearby Fort Denison and several ferries, then dived over the decommissioned aircraft carrier HMAS Sydney (originally Majestic class carrier HMS Terrible, launched September 1944) which was moored nearby. He continued by buzzing HMAS Platypus, the RAN’s submarine base at Neutral Bay, and flying low over the city zoo before departing via Sydney Heads. Cameron justified the barnstorming as his tribute to a true legend of Australian aviation, Sid Marshall, who had died the week before. 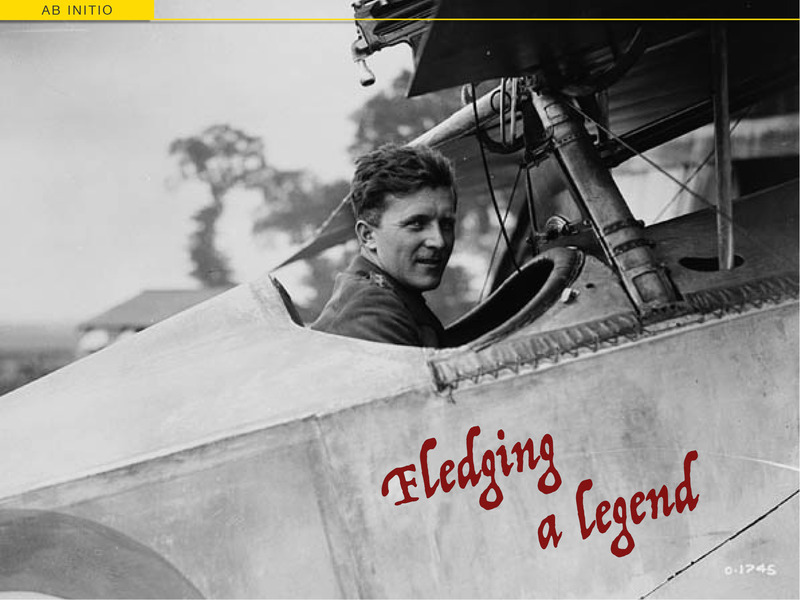 Marshall’s flying career began in 1919 and along the way he built up a regional airline as well as a jaw-dropping collection of rare and historic aircraft – including several Avro Ansons, two Spitfires, a Nakajima Oscar, an Me109, DC-3s and more. The Tiger Moth was chosen as an aircraft befitting Marshall’s life and times, and the illicit sky show was quite the memorial. However it was still illicit and, inevitably, a Department of Transport officer was waiting for John Cameron when he landed back at Bankstown Airport. Cameron’s license was immediately suspended pending an investigation, and there the trail disappears. I can’t find any record of further punishment, although I find it hard to believe none was forthcoming. Part of me hopes the greyer heads of the Dept. of Transport, which had recently absorbed the DCA, realised the validity of the tribute and wished they’d organised something for Marshall themselves. Whatever happened, it wasn’t terminal. In October 2003, Tiger aficionados organised a Great Tiger Moth air race around eastern New South Wales, to mark the centenary of powered flight and honour the thousands of World War Two aircrew who’d learned to fly in the timeless biplane. The final leg was a balboa of no fewer than 41 DH.82a’s flying the length of Sydney Harbour. Organisers requested permission to fly under the Harbour Bridge on that day, but NSW Government regulations forbade it and the Tigers passed sedately over instead. However the winner of The Great Tiger Air Race was none other than one John Cameron, in his Tiger Moth. Perhaps Louise Campbell had those words ringing in her ears when she decided to test her skills and the regulatory system seven months later. But then again – if you’re not capable of resisting every hot-dog impulse that enters your head, perhaps you shouldn’t be flying either.